1. 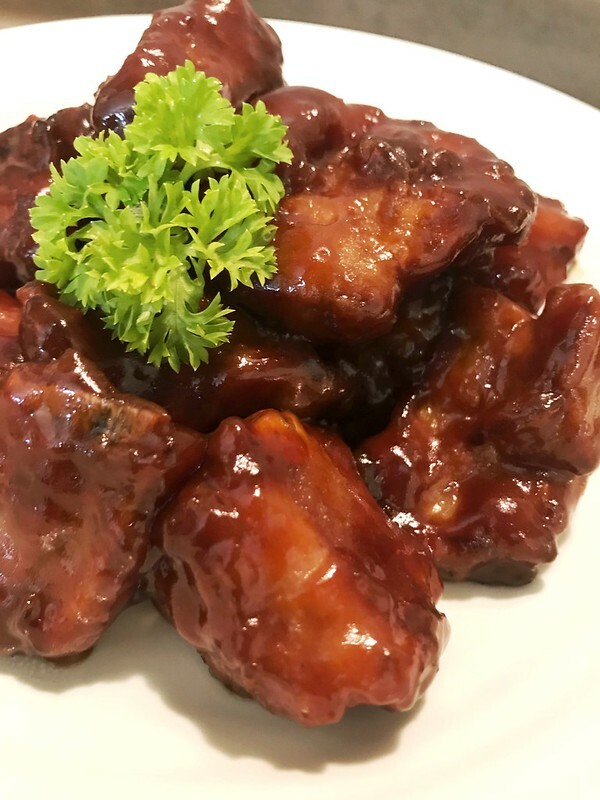 Clean pork ribs in water. And dry them with kitchen towel paper. I used spare ribs. 1 egg, 1/2 tsp white pepper, 2 tablespoon oyster sauce, 1 tablespoon rice wine, 2 tsp salt, 1/2 tsp baking soda and 2 tablespoon starch. Marinate ribs for 1 hour. 3. Deep fry ribs till golden brown. 4. 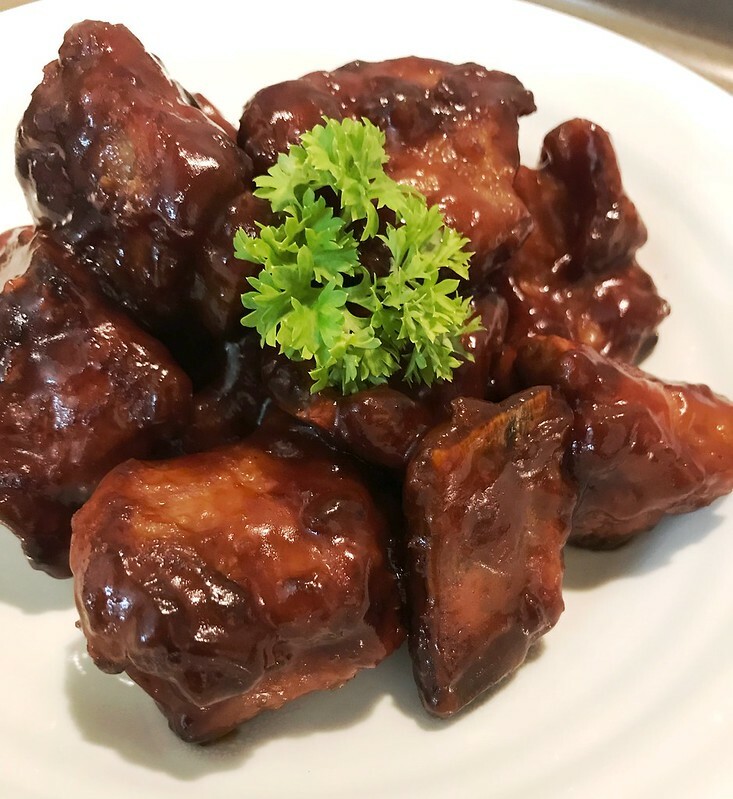 In a bowl, add in 2 tablespoon brown sugar, 1 tablespoon sugar, 1 tbsp vinegar, 1/2 cup water, 2 tablespoon tomato sauce, 1 tablespoon HP sauce, 1/2 tablespoon chili sauce, 1 tablespoon plum sauce and corn starch water. Stir to mix well. 5. Heat a pan on stove. Pour the sauce mixture in. Simmer to reduce sauce. 6. Add fried pork ribs into the sauce. Stir to let them be coated with sauce evenly.